Apple Computer, Inc. announces a price reduction for its Monitor III video display, and introduces a stand which permits easy use of the Monitor III with the Apple II personal computer. The suggested retail price of the Monitor III is now $249.00, a 22% reduction, and applies to both white and green phosphor versions. 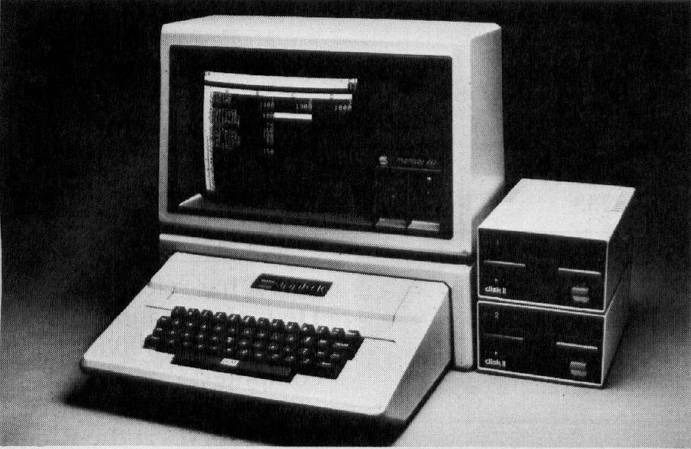 The new pricing reduces the total system cost for both the Apple II and the Apple III. The Apple II Stand is designed to the exact width of the Monitor III to allow aesthetic integration into the Apple II system. The stand permits easy accessibility to the back of the Apple II. The suggested retail price is $29.95.